Why is Evernote Called Evernote? If you’d asked former Evernote CEO Phil Libin in 2008, he quickly would have said “bankruptcy.” By then, it had been almost two years since Stepan Pachikov founded the note taking application and they were desperately failing to gain traction. Like most entrepreneurs, Libin was terrified of failing, but just before he was about to turn the lights off, an opportunity came knocking. Or in this case, chiming. According to Arctic Startup, just before Libin was about to fall asleep one night, he received an email – one with a surprising note. It was from an existing user who wanted to simply thank Libin for creating such a valuable product. He believed in the idea so much, he wanted to fork over some cash. At 3:00am, Libin and the Evernote fan, who happened to be from Sweden, opened up Skype and after just 20 minutes, an agreement was made. Next week, the mega fan wired $500,000, which allowed Libin and team to continue their journey. Why is it called Evernote? 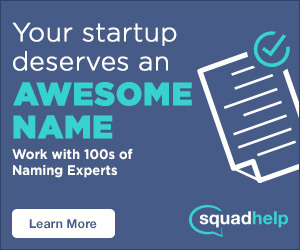 The name alone is as straightforward as it sounds. Ever. Note. As in, a note that lasts forever. So while some brand names exist as a thing of mystery, leaving fans to wonder where it could have come from and what in the world it could possibly mean, Evernote keeps their message crystal clear. Even with an elephant, their logo is far from complicated. 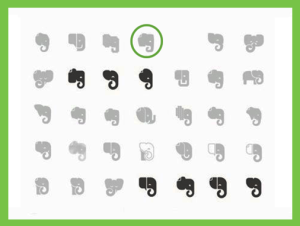 At an Evernote Trunk Conference, Gabe Campodonico and Andrew Sinkov explained the design: “There’s a saying that ‘elephants never forget,’ and it focused on the core idea.” Although the type of animal came naturally, the design of the nameless elephant required several variations before agreement. If you look closely, the not-so-subliminal messages don’t stop there. You’ll see a fold in the elephant’s ear, representative of an earmarked sheet of paper, or a note. Campodonico and Sinkov admit that “the concept of the folded ear, that was there from the very beginning.” If you focus on the white space around the trunk, you’ll finally find a lowercase ‘e’ to bring it all home. 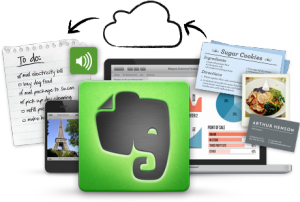 As a cross-platform application, Evernote is all about providing “one workspace that lives across your phone, tablet, and computer,” to let you “write free from distraction, collect information, find what you need, and present your ideas to the world.” Users can sign up for free (up to a certain storage limit) to create virtual notes, from formatted text or full webpages to photographs or voice memos. Notes can then be tagged, annotated and discussed. SEE ALSO: Why is Flickr Called Flickr? In 2012, Evernote also made a move from the virtual world into reality by partnering with Moleskin. Together they created a digital-friendly hard-bound notebook with pages and stickers that could sync to a smartphone. That way, you can write down whatever it is that’s keeping you up at night, and keep the note forever. In May 2014, the company surpassed 100 million users and has gone on to raise over $290 million, while acquiring five companies. They employ ~400 employees across the globe and are headquartered in Redwood City, California.